Online Casino Odds or Vegas Casino Odds – Which is better? Vegas Odds or Online Odds? Used in gambling and statistics – ‘Odds’ are a numerical expression used to reflect the likelihood that a particular event may take place. Odds are expressed in the form “X to Y”, where X and Y are numbers. Offshore Online Gambling is not regulated in the US, and sure it’s possible that some evil switch exists to steal all your money. But it just doesn’t make any sense. Market forces drive the Offshore Online Gambling Industry and why on Earth would a major online casino software provider risk their market share by letting one of their operator rip you off? Las Vegas Odds and Atlantic City Casinos have a stone cold Minimum RTP or “Theoretical Return to Player” percentage, which dictates that no slot machine is allowed, under scrutiny of regulation and penalty of law, to fall below that set minimum. In Las Vegas it is 75% but you will rarely find that poor of a return except at a bank of $1 machines located near an exit with no entrance traffic, at the airport, or in a hole in the wall gas station back room. The machines on the mega casino floors in Vegas must compete with the machines on any other casino’s floor or the traffic would dwindle to nothing at that casino. In Vegas Odds, Slots pay pretty well; in fact the return is in the low to mid nineties and has just gotten better over the last year due to fewer penny slot releases. Some say it’s the economy and the casinos are trying harder. Sorry, I don’t buy that one either. 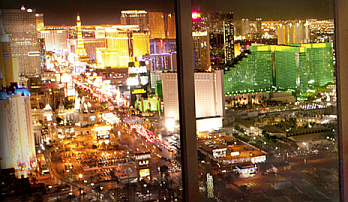 Vegas is Vegas, you’ll go or stay home. We can quantify the slot releases; we can’t quantify a floor manager’s or bean counter’s decision making process. Penny slots, even though almost everyone bets enough pennies to wager over a dollar per spin, pay the player a bit less than the larger coin machines, (actually quite a bit less) and the multi-denominational slots are allowed to offer different RTP per coin size. But don’t be fooled! The majority of machines may pay more for larger coins, but the regulations do not dictate that. So you can dump a ton of money by upping your coin size on some slot machines. Believe it, I have and I still do try to beat the Vegas Odds! Online Casino Odds better than Vegas Odds? There may only be a few software platforms available for US Players to choose from, but rest assured that the software’s are competing against each other, and in the case of RTG (Real Time Gaming), the casinos are competing against each other as well because the operators can set their own RTP per game within a certain framework that is, by virtue of the program, not allowed to fall below 91%. Generally speaking though, RTG Casinos are allowed one of three settings for the software overall, from the software supplier RealTime Gaming. These available settings are 91, 95 or 97.5% respectively. It is rumored that most RTG casinos initially take the 95% setting, but no one really knows for sure. Even that though, does not mean that you cannot have individual runs on the slots that will pay you back 135%, 250%, 500%, 1000% or even more. That’s also true in Vegas Odds. I know, I’ve had it happen many times and I have also received way south of the 91% RTP as well on individual sessions. It can happen either way at any given time. That’s the randomness of it all. What’s the difference in a theoretical return to player of 75% and 95%? Answer: A ton! You will notice it regardless of the variance (high risk vs. low risk) of the machine. What’s the difference between 97% and 95%? A lot over millions of spins but there is no way a player can notice it over thousands of dollars in deposits at the lowest coin size with all lines bet. It simply isn’t observable, and most players don’t have a clue which slots are high risk (very few wins, but when they hit it can be very big), even life changing moments – and low risk (lots of smaller wins). The good news is that most online slots pay better than most slots at land based casinos or Vegas Odds casinos, but we are only talking a few percentage points. The better news is that no slots that I know of, served from reputable online casino software, pay anywhere near as lousily as the worst slots that are regulated on land. A good example of this is Tribal Gaming Casinos on Indian Reservations, where they are allowed to self regulate. Another words, for instance in North Carolina, the Cherokee Tribal Gaming Commission is just that! Since they are the only Gaming Commission in the State of N.C., “The Tribe” regulates their own RTP Odds! There is no independent third party involved in that decision making as in a regular Vegas Odds casino where it’s regulated by a State Gaming Control Board such as the Nevada Gaming Commission and the State Gaming Control Board. People vote with their feet when it comes to money. Unless you can consistently predict the futures market for pork bellies, please don’t tell me you can tell the difference between a 95% return and a 97% return on a particular slot machine. And if you want to know the difference, over all, of an online or land based casino’s Return To Player (RTP), it’s less than two points. 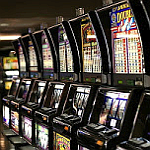 But you will not find Vegas Odds, airport island, or gas station odds at any reputable online casino. Just ain’t gonna happen. The bottom line is that online slots can pay better than land based slots, especially those self-regulated Tribal Casino slots – but we have an advantage online! Many of the slot offerings have been analyzed as to their variance (risk) so we can choose Derby Dollars at a ‘Reputable RTG Casino’ and spin away all night long, or we can choose Ronin and blow our wads or get rich quick. All the while we know that in the worst-case scenario we are 20% (check note) points ahead of the game no matter what. Online versus On-land? Vegas Odds vs Online Casino Odds…All else being equal, our money is on the messy hair and pajamas. Oh yea! Online Casino Odds or Vegas Casino Odds - Which is better?